A conversion of a 1917 Mitsubishi Model A, using the Outlander PHEV plug-in hybrid powertrain, by West Cost Customs is now complete and ready to celebrate the 100th anniversary of the brand. The Mitsubishi Re-Model A will now make its television debut on a special episode of Inside West Coast Customs, premiering Monday, November 6 at 10PM ET/PT on Velocity. The show will highlight the entire build, from conceptualization to the first drive. There will also be a public opportunity to see the Model A PHEV in person, during the upcoming Los Angeles Auto Show (December 1-10). The project is also a nice tie-in to the introduction of the Outlander PHEV, which apparently will finally arrive in the US this December for less than $35,000. "As a testament to the brands 100th anniversary, Mitsubishi Motors partnered with West Coast Customs to recreate the 1917 Model A on the platform of the Outlander PHEV, Mitsubishi's most technologically advanced vehicle. Staying true to the Model A's aesthetic, the finished product embodies the original 1917 frame with modern day enhancements including Mitsubishi's superior Super All-Wheel Control system, Plug-In charging capabilities, Forward Collision Mitigation and Smartphone Display Audio with smartphone capability. 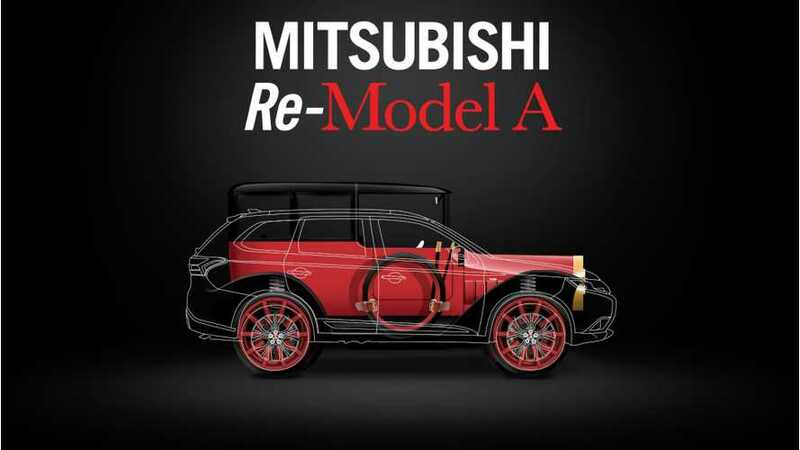 The Mitsubishi Re-Model A not only commemorates the past, but celebrates the technology in present day models and shines a light on the next 100 years. 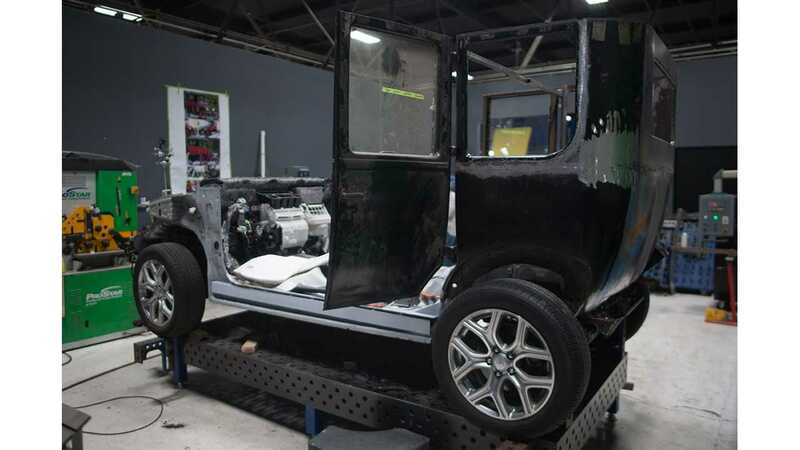 The Mitsubishi Re-Model A was built at the West Coast Customs facility in Burbank, CA and following the television debut on Inside West Coast Customs, will travel to the Los Angeles Auto Show where it will be on display in the Mitsubishi Motors booth and make its public debut. To catch a detailed look at the creation of this one-of-a-kind Mitsubishi Re-Model A, tune into a special episode of Inside West Coast Customs premiering Monday, November 6 at 10PM ET/PT on Velocity. The episode will also air on Discovery, Thursday, November 9 at 5PM ET/PT. 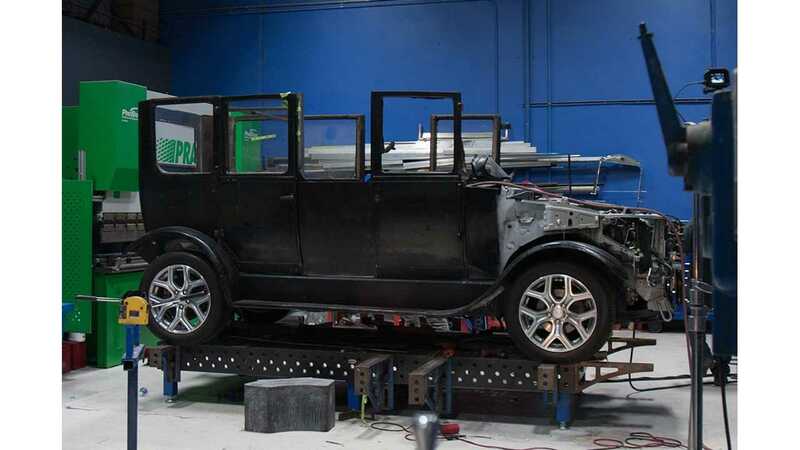 For more information on the build visit: https://www.mitsubishicars.com/remodel-a"
"The team at West Coast Customs seamlessly blended our past, present and future together in the form of the Mitsubishi Re-Model A. It's been an invigorating and exciting project to be a part of and we are excited to share the finished product with everyone. Additionally, this unique build provided us the opportunity to use product integration to highlight Mitsubishi's all-new Outlander PHEV which comes to market later this year."